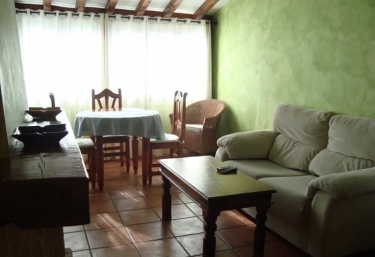 The rural apartments can be found in the municipality of Cantabria de Liébana , specifically in the town of Frama. Located at the top of the town and with very nice views of it. Thus, 3 of them have 2 rooms and therefore will host up to 4 people. While the other 2 have a space and for 2 people. Those that are quadruples will have a double bed and 2 singles . And the doubles a double bed. Everyone will share a single bathroom, which can have a shower or a bathtub. 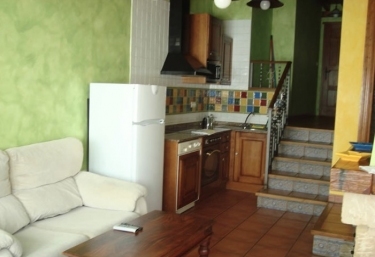 In each of these apartments there is a kitchen that has been properly equipped with the appliances más modern, from oven or microwave to washing machine. As a large room that also serves as dining room next to the kitchen. And where we find a fireplace , a comfortable sofa and a television. Also in all of them there is Wi-Fi service . In the outside les corresponds to each one a small plot of the garden care that is in its surroundings. Which also has tables for meals during good weather. We have up to 2 apartments of this type. Which can accommodate 2 people in a single room. are structured in a single plant, although with double height. And they can have either 2 single beds or a double bed. They are accessed directly from a small garden private to the living room. In which we find a fireplace. And next to this the kitchen with all its appliances. 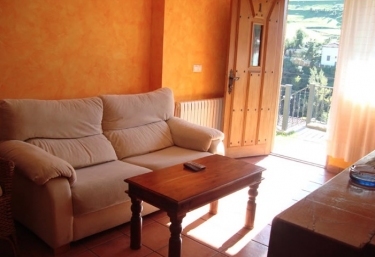 In this type of rural apartment can accommodate up to 4 people ya that has 2 bedrooms. One of which has a double bed and another 2 single beds. There are 3 accommodations that we have in our rural complex. And is structured in 2 floors . The bedrooms are on the top floor and the common areas on the ground floor. 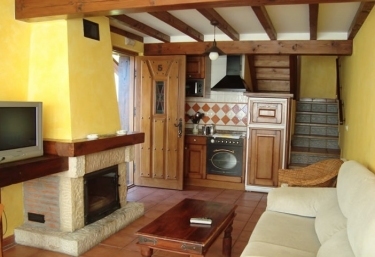 They also have full kitchen and a large living room with fireplace. As well as a bathroom to share. At their entrance they have a small garden. It is a space full of comforts, where you will be able to enjoy the tranquility. A double bedroom, spacious and with all the comforts. It is an accommodation full of comforts, where you will be able to rest, and enjoy the tranquility. 2 double rooms, one of them marriage , and another with 2 single beds. Un full bathroom, with towel sets. 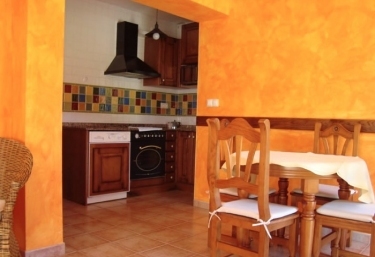 Una full kitchen, with appliances and kitchenware. It is an apartment that has all the amenities you need to make the most of your vacations. 2 double rooms , spacious and with sheets and blankets. A dining room, fully equipped. Frama is a Cantabrian town where the population does not reach 200 inhabitants. And where especially highlights the nature and views towards the Picos de Europa . There we find precisely the Alcornocal de Frama, abundant in this type of trees. Very close to him is the municipality of Potes . Where you can visit the monastery of Liébana , with Gothic and Romanesque influence and built in the 6th century. Beyond you will find Mogrojevo , a municipality that keeps a percios style of its houses and balconies. As well as the caves of Soplao, also of great interest and where you will discover the interior of the earth.